A side scrolling, exploration Hack-N'-Slash game in a Cubist-Impressionist world. A game kept hidden by its legendary creator, while its protagonist looks for answers. Your journey ahead is not an easy one. Fight against the invading forces using your arsenal powered by pixels gathered from the world. Bit's world, like many other games, is built with pixels. Destroy your enemies and collect their colourful, square essence. 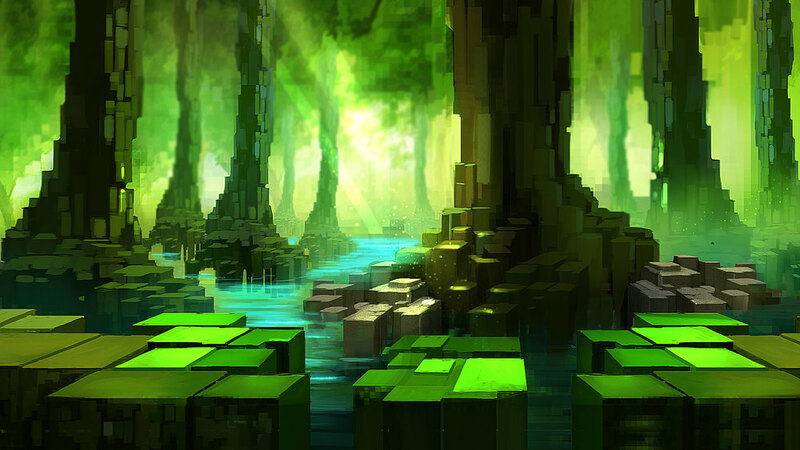 Use pixels to build new gear, manipulate the environment, end even open pathways to secret areas. Explore the lush, colourful, and vibrant settings of BitUp's universe. See the world as it is seen by its digital inhabitants. Sign up with your email address to receive news and updates about BitUp! We hate spam as much as you do. Your email will be kept confidential and we swear to never share it or use it for other purposes other than sending news and updates. We mean it.